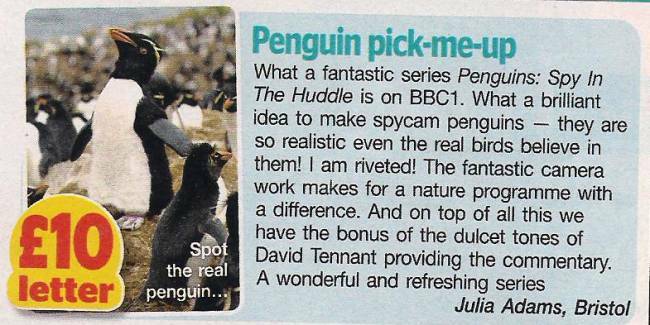 David Tennant narrated this three part nature documentary which used state of the art camera techniques to film penguins in their natural enviroment. The programme was shown on Monday evenings on BBC One at 9pm starting on Monday 11th February 2013. Synopsis of episode one - The Journey. Synopsis of episode two - First Steps. Synopsis of episode three - Growing Up. 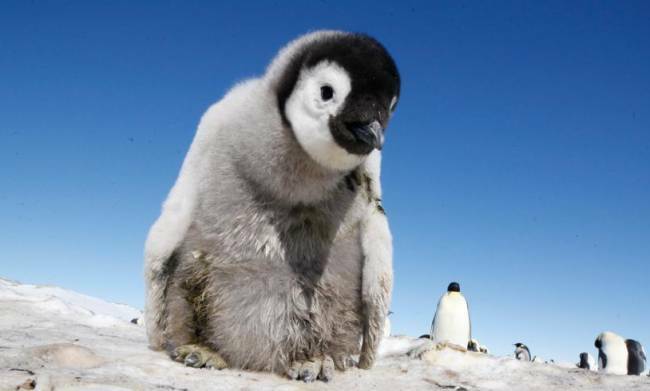 The series was produced by John Downer Productions (who made Earthflight) and they filmed 1,000 hours over 300 consecutive days in Antarctica and Peru. The series will be released on DVD on Monday 8th April 2013. For posts related to Penguins - Spy In The Huddle on Blogger.com click here. David Tennant on Hamlet (Shakespeare Uncovered) has been shortlisted for the Best Arts Documentary Award.